You may have impressed your employer with a well-written resume and interesting answers to the questions during an interview, but there is still something you should do to become the number-one candidate. This document is called a thank-you letter. It follows up an interview and convinces the employer that you are really interested in the job. Just imagine. There are two candidates with excellent skills and the employer doesn't know who to choose. A thank-you letter after an interview can persuade an employer that you are really interested in the job, making you stand out above the other candidate. It shows your genuine interest about the job. It shows that you are conscientious and considerate. It shows a clear demonstration of your manners and diligence. It shows a commitment to your future job. It puts you above the people who didn't thank them. Resumesplanet.com is ready to help you write a thank-you letter that is appropriate for your specific situation. Our experienced writers know how to create thank-you letters that get noticed and read by an employer. Check out a thank-you letter sample crafted by our professional writers to see how it was written for one person. Let us create a unique thank-you letter crafted for the specific situation and job position you are applying for. There is a common mistake that many job seekers make and that is - failing to write and send a follow-up letter after an interview. In many cases those applicants who do not write follow-up letters miss their chance to get a job. 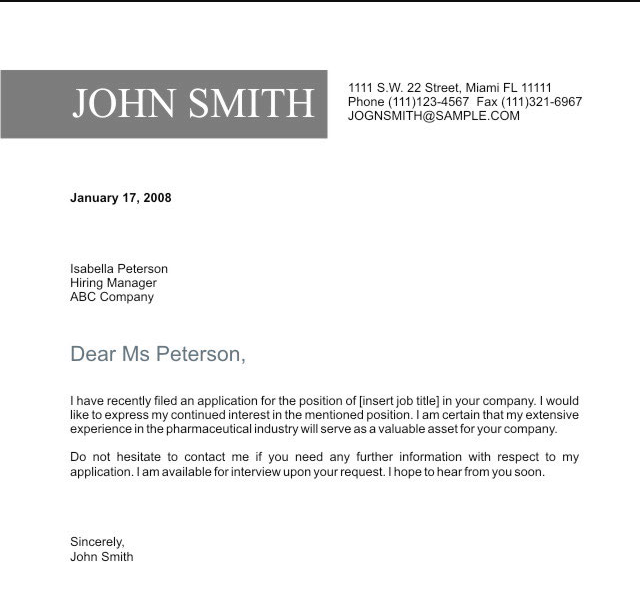 You can be a perfect candidate but it is a follow-up letter that pushes a potential employer to choose you over other candidates. It forces the employer to think about you. It may make an employer re-examine your resume. It shows you are genuinely interested in the job. They are more likely to consider your application sooner. Writing a follow-up letter as well as a thank-you letter is quite easy but requires correct formatting and creating specific content depending on the job position you are applying for. With knowledge and years of experience, our professional writers have, we will create an appropriate follow-up letter for you. You do need to worry about your employment issues when you choose Resumesplanet.com to be your guide and assistant in resume or follow-up letter writing. Feel free to look atd a follow-up letter sample written by our professional resume writers below. However, this follow-up letter sample is not a template. Each job seeker needs a specific and customized follow-up letter to get noticed. Resumesplanet.com is ready to start writing a follow-up letter for you right now.